Couponing is my hobby. Some people collect stamps - I collect coupons. 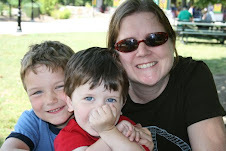 I'm a stay at home mom and spend my time chasing after two little boys. I find that motherhood makes me a little crazy so I like to distract myself playing with coupons and getting great deals. I love to share the deals with my friends and family and hope that this place will make that easier to do so!! 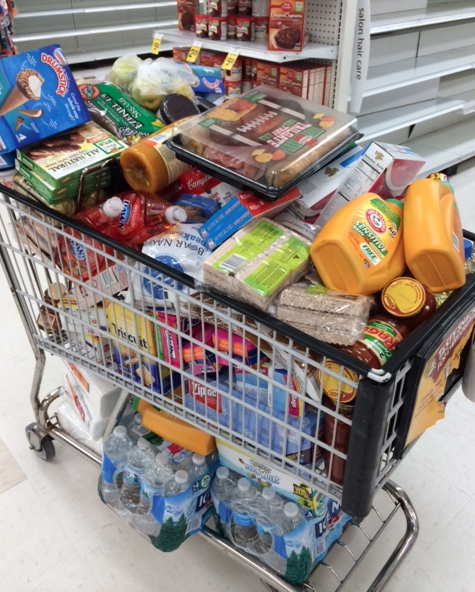 Be sure to head to Dominick's today if you can...everything is 50% off! Excludes liquor, fresh meat, liquid dairy, bulk and packaged produce and deli counter items. I'm pretty sure everything else is game. Got great deals on laundry detergent, olive oil, Bare Naked granola, cereal, napkins, household cleaners, ziploc bags and so much more!! Tip for the day -- look for a cart in the parking lot and bring it in with you! My kids and I love to watch movies together on the weekends! And now that Despicable Me 2 is out on DVD, we have planned a movie night! 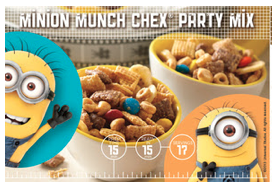 We will be making the Minion Munch Chex Party Mix instead of popcorn! This new party mix, with banana, peanut butter and just a touch of chocolate is one tasty treat! 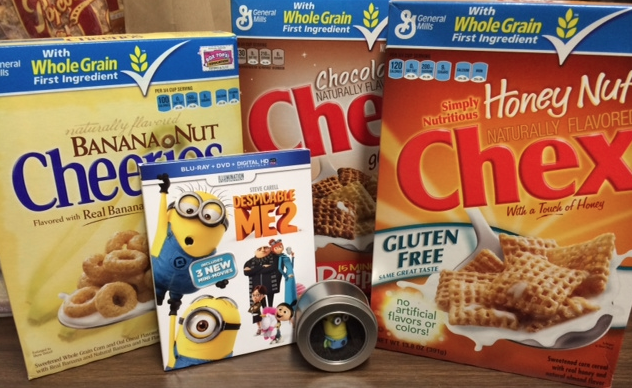 One Bargain is the New Black reader will win a Chex Holiday/Despicable Me 2 Gift Pack which includes: (1) Box Honey Nut Chex, (1) Box Chocolate Chex, (1) Box Banana Nut Cheerios, (1) Despicable Me 2 DVD and (1) Minion USB. Here's how to enter - Share your family's favorite Family Holiday Movie (MANDATORY for your entries to count)! This giveaway will end on Thursday December 19th at midnight. A winner will be selected by random.org on Friday Decmber 20th and the winner will be notified. If I do not hear from the winner within 48 hours I will select a new winner. Good Luck! Kids love Go-GURT® Yogurt! It’s fun to eat, and has great tasting flavors kids crave. And mom loves that Go-GURT® is now made with natural colors and flavors, and contains no high-fructose corn syrup! Plus Go-Gurt is a good source of vitamins A, D and Calcium for your kids. I know in our house we've been vigilant about cutting out food that is made with high fructose corn syrup, and I'm so glad that I can now count Go-Gurt on that list!! One snack that I can always count on my kids eating in their lunch or afterschool is Yoplait Go-Gurt! My kids love to eat them right from the box, and they also love them as a frozen treat by popping them in the freezer! Our favorite flavor here at our house is Strawberry! I never can make it past the dairy aisle without hearing "Mom, can we get some Go-Gurt"! 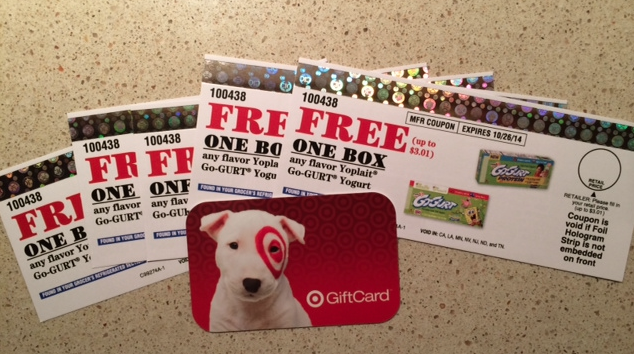 One Bargain is the New Black reader will win a Target/Yoplait Go-Gurt Gift Pack which includes: $25 Target Gift Card and (5) Go-Gurt VIP Coupons for FREE product! Here's how to enter - Share your family's favorite Go-Gurt flavor (MANDATORY for your entries to count)! Get ready for Halloween before all the ghosts, goblins, and monsters come to your door with this exclusive offer only at Target! When you buy three (3) General Mills Monster Cereals in a single shopping trip at Target between October 1 through October 31, 2013, you’ll receive a free Monster Bash Magazine full of recipes, tips and tricks for you to have the creepiest, scariest, spookiest, most fun Halloween ever! 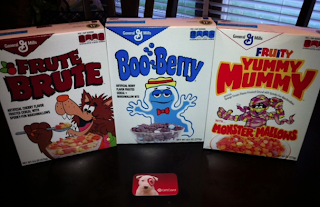 And if that’s not enough to get your Halloween howling, Target is going back in time with not only exclusive retro packaging, but also re-introducing two throwback flavors: Fruity Yummy Mummy and Frute Brute! My kids LOVE sugar cereals and it's a fun treat to have them in the house. But for me, when I see these retro Halloween cereals - I just can't resist! It's another way to have fun with Holiday and have some Spooky Spirit! My favorite thing about Halloween is seeing all of the costumes that kids dress up as! My boys are going to be Ninja's this year. One Bargain is the New Black reader will win a Target/Monster Cereal Gift Pack which includes: $25 Target Gift Card and a 3 of the Monster Cereals shown above (cereals may not be the ones shown below)! Here's how to enter - Share your favorite thing about Halloween (MANDATORY for your entries to count)! This giveaway will end on Wednesday October 23rd at midnight. A winner will be selected by random.org on Thursday October 24th and the winner will be notified. If I do not hear from the winner within 48 hours I will select a new winner. Good Luck! Instead with Green Giant®, you can eat lots more vegetables and feel good about the GIANT difference it makes in managing your weight. 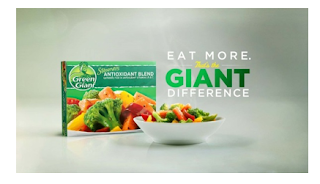 Because for the same amount of calories, Green Giant® gives you more. I LOVE having frozen veggies on hand - it makes planning for dinner so much easier not to mention making sure I'm getting my vegetable intake too! With many varieties under 100 calories, it makes them a great option for lunch too! 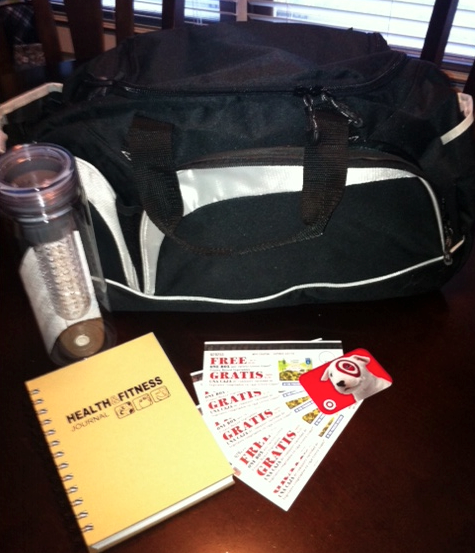 One Bargain is the New Black reader will win a Green Giant Gift Pack which includes: $10 Target Gift Card, VIP Product Coupons (FREE Green Giant Frozen Boxed Veggies up to $2.25), gym bag, health & fitness journal and a Fruit Infusion Water Bottle! Here's how to enter - Share your favorite veggie to eat with dinner (MANDATORY for your entries to count)! Loading... Disclosure: The information and prize pack have been provided by Green Giant through MyBlogSpark. Use the code 101PRINTS through Sunday, for 101 free prints from Shutterfly, just pay shipping. If you add only 99 prints, shipping is $2 cheaper, making it 99 prints for $4.99 instead of 101 prints for $6.99! Thanks to all who entered this giveaway! The winner is Michelle H.
If I do not hear from Michelle, I will choose another winner! Enjoy!! 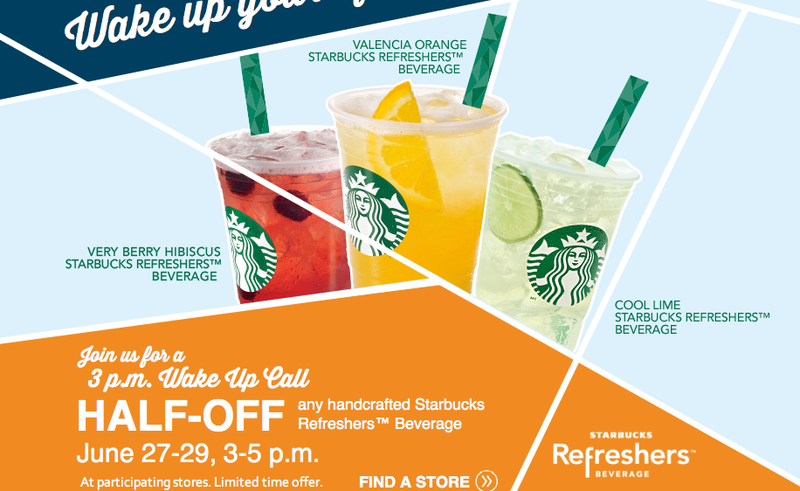 Check our your local Starbucks on June 27-29th from 2-5pm for 1/2 price refresher drinks! Happened to be by Dominick's today and stopped in to pick up this deal that was posted over on Mashup Mom today. 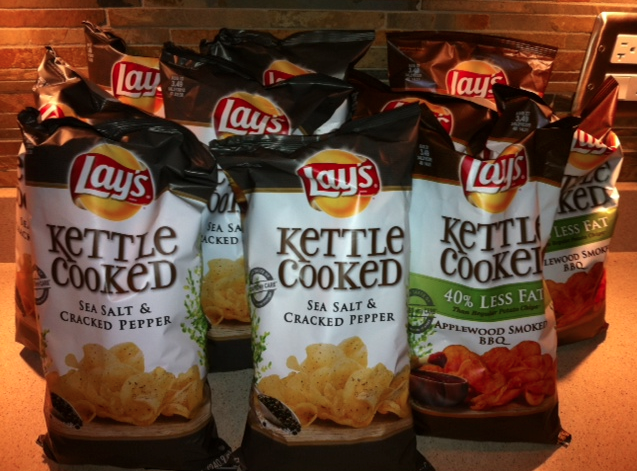 Lay's Kettle Cooked chips are on sale BOGO. Regular price is $3.49, when you buy 5 bags you get $5 off your purchase (and the deal stacks). So the best deal is to buy 10 bags - BOGO and get a $10 discount. 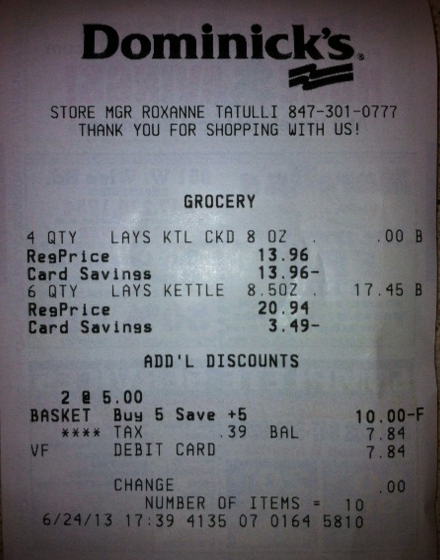 I paid $7.84 total after tax for all 10 bags. Check your Just for U and see if you have a personalized price or 10% off chips! I forgot to check the tag to see when the sale ends, so hurry on over. They had Sea Salt & Cracked Pepper, Salt & Vinegar, Applewood Smoked BBQ and Jalapeno at my local store. 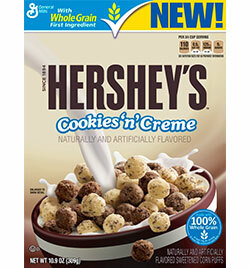 Now you can enjoy the delicious taste of Hershey’s Cookies ‘n’ Creme in a breakfast cereal from General Mills! My 6-year-old son LOVES this cereal -- and not just for breakfast, but as a snack in a baggie or mixed into his yogurt! It's just the right about of chocolate and cookie taste! Want to try some for yourself?? One Bargain is the New Black reader will win a Hershey's Cookies 'n' Creme Cereal Gift Pack which includes: Box of Hershey’s Cookies ‘n’ Creme Cereal. 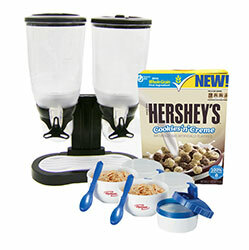 Cereal storage container and 2 Cereal-To-Go containers! Here's how to enter - Share your favorite Big G (General Mills) cereals and Hershey’s products (MANDATORY for your entries to count)! This giveaway will end on Tuesday July 2nd at midnight. A winner will be selected by random.org on Wednesday July 3rd and the winner will be notified. If I do not hear from the winner within 48 hours I will select a new winner. Good Luck! Confused on the lingo? 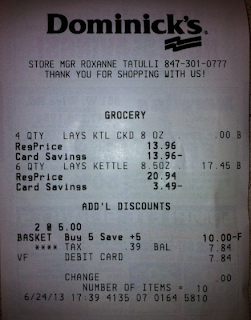 Check out common coupon abbreviations. Click the image above to signup and Swag with me! !